As 20-something woman with a serious chronic illness, I know all too well the impact that being a woman has on getting a chronic illness diagnosed. Often, women are not taking seriously by some doctors and may have to wait years to get a proper diagnosis. Is this because of the stereotype that women are always “dramatic”, or we “over-exaggerate”? Possibly. There is also the classic, and sometimes offensive, “you’re probably pregnant”. NO. Sometimes we are actually VERY sick. According to an article on The Mighty called, 10 (Wrong) Things People Somehow Still Believe About Women With Chronic Illnesses, there are still many misconceptions and stereotypes about chronic illnesses and the people who have them. The article focuses on the stigma of women with chronic illness because women are more often misdiagnosed than men. “You truly can’t tell how sick someone is just by looking at them. 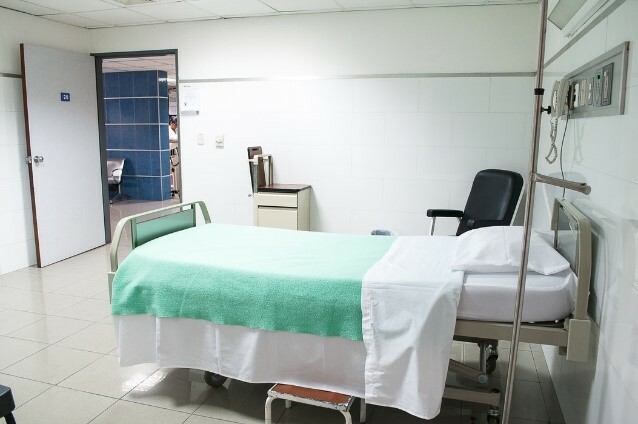 But so many female patients can think of a time when they were dismissed, not taken seriously or given the wrong medical care because of misconceptions about how illnesses present in women and how sick women should act”, the article mentions. Of course, no one is saying that men with chronic illnesses don’t have their own setbacks with doctors, they do. However, men are usually taken more seriously than women when it comes to serious health issues. National Center for Chronic Disease Prevention and Health Promotion (NCCDPHP) state that 6 in 10 adults in the United States have a chronic disease or illness. They also say that 4 in 10 adults have 2 or more. This is crazy when you really think about that; that translates to 60% of people over 18 in the United States alone have a chronic illness! Chronic diseases are defined broadly as conditions that last 1 year or more, and require ongoing medical attention or limit activities of daily living or both, according to the National Center for Chronic Disease Prevention and Health Promotion. Major chronic diseases such as heart disease, cancer, and diabetes are the leading causes of death and disability in the US. They are also leading drivers of the nation’s $3.3 trillion in annual health care costs. Additionally, it comes as no surprise that people with chronic diseases can also have mental illnesses. The National Institute of Mental Health Information Resource Center mentions that, people with other chronic medical conditions have a higher risk of depression. The National Institute of Mental Health Information Resource Center also says that there are some risk factors directly related to having another illness. Conditions such as Parkinson’s disease and stroke cause changes in the brain. In some cases, these changes may have a direct role in depression (but not all). Illness-related anxiety and stress can also sometimes trigger symptoms of depression. National Institutes of Mental Health also states that, certain types of depression are unique to women and can occur at different stages of life. It is also important to note that depression itself is a chronic illness and should be treated as such. Chronic illness and diseases can affect anyone and everyone at any time. While most cannot be cured, most can be somewhat prevented by living a healthy lifestyle, which can be hard in some parts of the country. We all need to work together to shed more light on chronic diseases and illnesses, and to empower women to fight for themselves in order to get the best care they can get for themselves regarding their chronic illness.